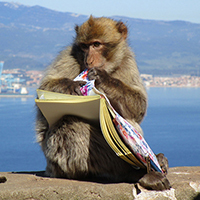 Whether delving into the minds of primates in Gibraltar or gladiators from the Roman Empire, students broadened their own perspectives by participating in one of 70 May Term courses. 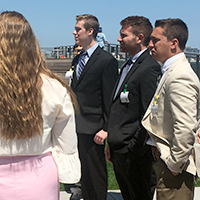 Students enrolled in Illinois Wesleyan's "Seminar in Management" stepped outside the classroom and into the offices of big-name companies during a three-day trip to Chicago. 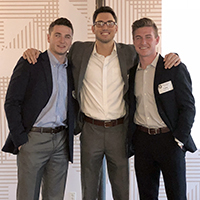 United by their civic-minded entrepreneurial talents, three IWU students are developing an online specialty clothing store which caters to the needs of children with disabilities. 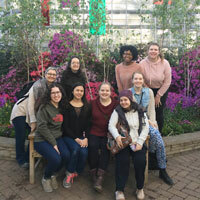 Illinois Wesleyan's First-Year Humanities Fellows, the first of several First-Year Experiences to follow in the fall of 2018, delivered their final presentations. 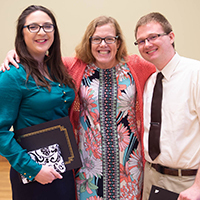 Phi Beta Kappa has named Raymond Bolton '18 and Zoe Bouras '18 the recipients of this year's Phi Beta Kappa Liberal Arts Scholar Award at Illinois Wesleyan. 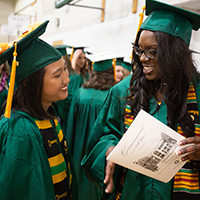 Illinois Wesleyan University celebrated more than 400 graduating members of the Class of 2018 during Commencement exercises on Sunday, May 6 in the Shirk Activity Center. 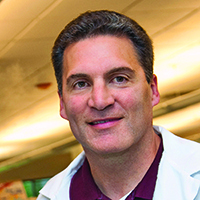 Kirk Schroeder '84, the co-founder of two life science companies, will deliver Illinois Wesleyan's Commencement address on Sunday, May 6. 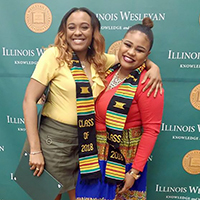 Forty-three graduating seniors participated in Multicultural Graduation on April 15, hosted by the Illinois Wesleyan Office of Diversity and Inclusion.